Running out of real estate for a project car is a problem we all face (well, I guess only if you purchase too many vehicles! ), so it’s not surprising to see sellers who just want to get a car off their property before the landlord comes knocking or a decent car is forced to park on the street. 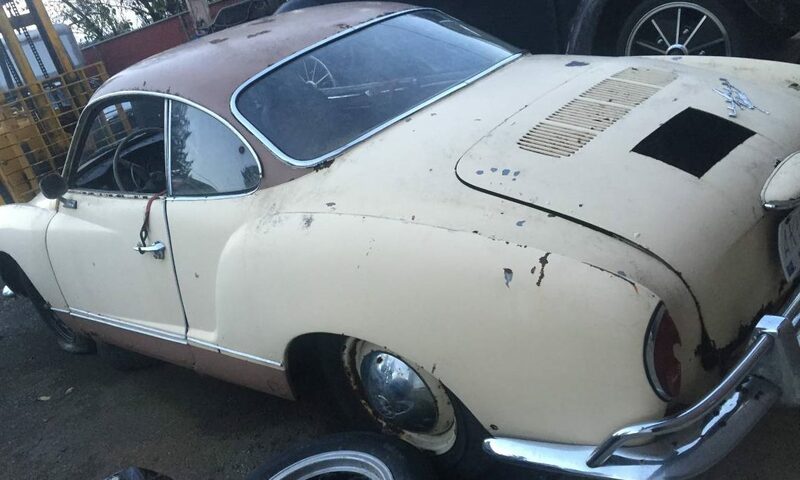 This 1960 Karman Ghia here on craigslist will need lots of work, but the seller is motivated and only wants $600! The price is certainly right, but is it worth it? 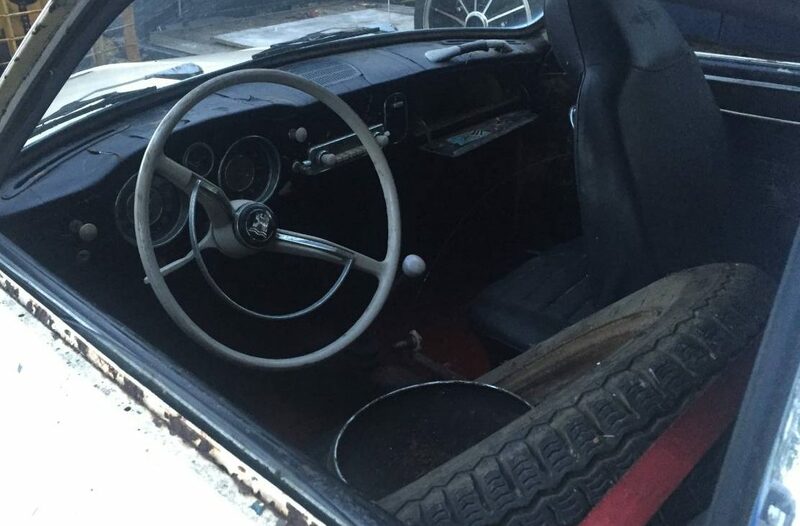 This Karmann Ghia comes with little known history and has clearly been used for “storage” over the years. 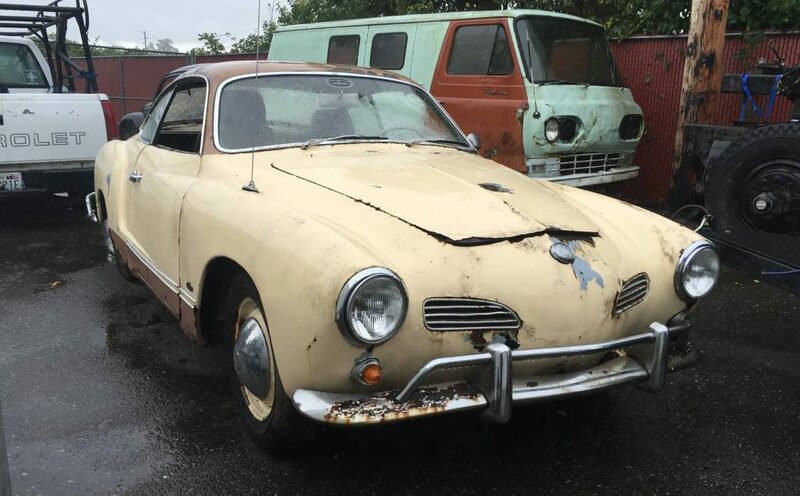 Based on the vehicles in the background, the seller does have more than enough projects to go around, which can sometimes indicate the roughest or most time-consuming project is the one that gets kicked to the curb. 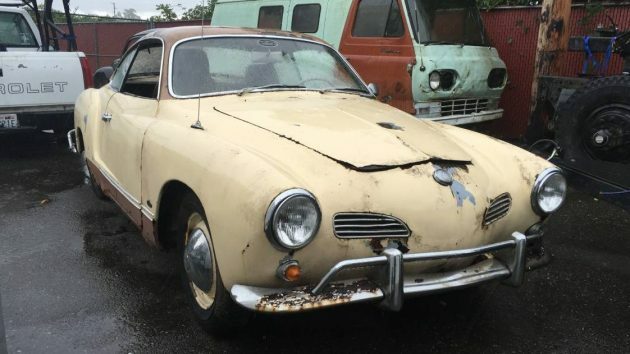 From here, the Karmann Ghia looks worth restoring. But the seller’s vague proclamation of “rust in the outer areas” doesn’t exactly inspire confidence about how solid this car may be. The hole cut in the engine lid is also a bit suspect, and the consistency of the rust from the rockers to the hubcaps makes me wonder if this car sat in water at one time. 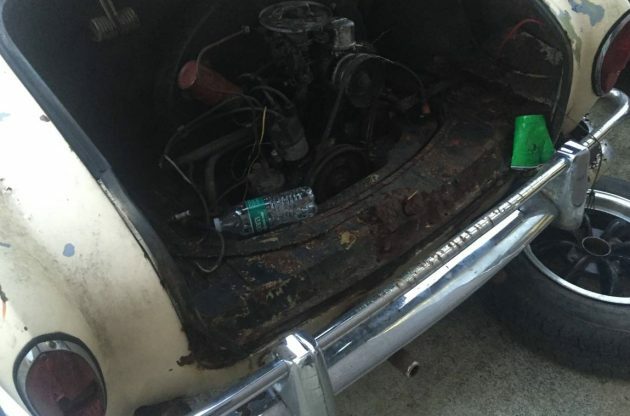 Yikes – more ugliness in the engine compartment. The seller is quite desperate to the get the car off of his property, to the point that he says even if you buy it, he is not storing it on your behalf. Pay the man and drive it (or trailer) it away. While the factory wiring is intact, the engine is another story; in fact, we know next to nothing about it. Is it worth the risk @ $600? Definitely worth it for somebody! Sorry, I already have my own projects! I’m sure it looks worse in person, but the seller is completely realistic on price. I am amused with the obsession about a vehicles history. When I buy a piece of equipment or vehicle, I look to see what is left not what it has done. If I am not smart enough to to do a good evaluation of it……..I have no busisness buying it, or I deserve what I get. I have bought ans sold thousands of mechanical things, most with no real history. Most professionals do that every day, like buying cars at an auction and they rarely loose. I agree Dave what difference is the back story going to make, other than nice to know information for nestlgic reasons. The other thing that I don’t get is this obsession over numbers matched from body to engine block it really doesn’t matter to me if they match. You can’t see any of that unless you stand on your head under the hood of the car anyway. If your at a car show you have to take the owners word for it anyway. And when your driving down the road the last thing on your mind is the knowledge that the stampings on your engine block match your car. I know I know it’s all about originality. But some how this becomes less important when you replace the fabric that you fart on while driving down the road how come we don’t have numbers matching fart fabric or numbers matching tail light lense. Can you imagine how silly we would sound at a car show telling an on looker that we had numbers matching tail light lense! The point I’m making is so little of a cars original parts remain after many years on the road followed by extensive restorations to me whats really important is what did that car represent in its day. End of rant thanks Dave for leaving the door open. A no brainer – buy it and slowly restore it to it’s beauty.